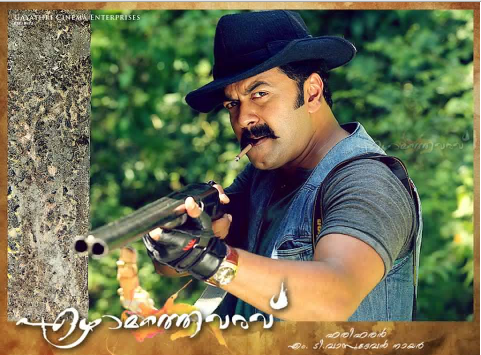 Indrajith upcoming Malayalam movies in 2013, complete list are given in this article. Indrajith has highly talked new films like 'Ezhamathe Veravu', 'Arikil Oral', 'Kaanchi', 'Kannerinum Madhuram' in his kitty. The actor is focusing on both commercial and feature films this year. Read the article to know more about the upcoming new releases and projects of Indrajith in 2013. 2013 is going to be a memorable year for the blessed actor Indrajith. Indrajith, though very talented, had failed to make big movements in box office earlier. But last few years, he is at his peak. The actor has become the favorite choice for great writers like M.T Vasudevan Nair, Murali Gopi etc. The acclamations he has received with his latest flicks also makes him one of the sought after actor in Malayalam movies. 2013 is a great year for Indrajith. He has done commanding works in his earlier releases and is on his way to gift Malayalam films more. Read in details the upcoming Malayalam movies of Indrajith below. 'Arikil Oral' is a thriller movie from Indrajith in 2013. The movie has Nivin Pauly and Remya Nambeeshan in other lead roles. 'Arikil Oral' is directed by Sunil Ibrahim from his own script. The story of 'Arikil Oral' revolves around three characters- an ad director working in a famous advertising company, a waiter and a dancer. Indrajith dons the role of ad director named Siddique in the movie. Nivin Pauly comes as Icha and Remya Nambeeshan as Veena. Siddique gets a transfer to Kochi from Banglore. He meets new friends- Icha and Veena, in Kochi and become very close in a short while. They plan a trip together and during which they realize that there are certain things they don't know about the other. The theme and the script have already gathered attention from movie lovers. Prathap Pothen, Lena, and Srinta are the supporting actors in the movie. Prathap Pothan will appear as a psychiatrist. 'Arikil Oral' is directed by Sunil Ibrahim and is being produced by Ashiq Usman. The shooting of 'Arikil Oral' are in progress. 'Ezhamathe Varavu' is the best movie Indrajith has received in his carrier. With this new project Indrajith gets a life time gift of working with legends like Hariharan and M T Vasudevan Nair. 'Ezhamathe Varavu' is directed by Hariharand and is penned by M.T. Bhavana essays the role of female lead in the movie. Vineeth and Vinu Mohan are in other main roles. Set in the backdrops of forest, the film attempts to showcase the relationship between human beings and forest. Indrajith's character in the movie is the owner of an estate. His name is Govndan and is living nearby forest along with his wife Bhanumathi. His words are the final words regarding that forest area. The shooting of 'Ezhamathe Veravu' has started in Kozhikode. Indrajith feels very high about this highly talked film and his association with Hariharan. The film is directed by Hariharan under the banner of Gayathri Cinema Enterprises. Kaanchi is an entertaining thriller featuring Indrajith and Murali Gopi in the lead roles. The duos previous outings like 'Left Right Left' and 'Ee Adutha Kalath' were path breaking movies in Malayalam. Indrajith is the hero in the movie whereas Murali Gopi dons the negative role in the movie. The female leads in the movie are Maria John and Archana Gupta. 'Kaanchi' is directed by Krishnakumar and the script is written by Jeymohan. 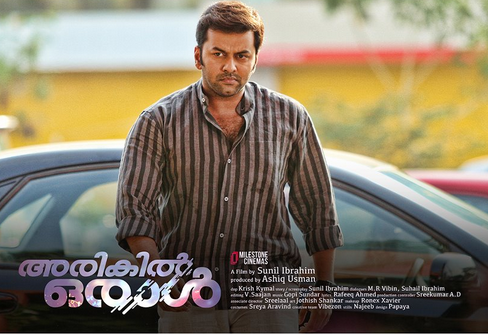 The story of 'Kaanchi' is set in a village in Palakkad. Indrajith's character in the movie is Madhavan, who runs a grocery store in this village. But some unfortunate incidents happening in his life changes the entire flow of his life and that is depicted in this thriller. The movie also focuses on a gun. The story of this gun and village is said simultaneously in the movie. 'Kaanchi' is produced by Haneef Muhammed under the banner of Red Rose Creations. The shooting of 'Kaanchi' is going on. 'Kanneerinum Madhuram' will have Indrajith playing the role of mentally unbalanced man. This is another challenging role the actor received in 2013. Bhama comes as the heroine in the movie against Indrajith. Mala, Mamukoya and Vijayakumari are part of the supporting cast. 'Kanneerinum Madhuram'is a family movie focusing on the evil side of the society. The story of the movie is like this: Indrajith's character had a mental problem. With treatment he recovers from it. When he returns back to the real world, he finds that they still treat him the same way. He is still a mad man and has become a responsibility for his family too. The movie also highlights the various emotional levels Indrajith has to go through. 'Kanneerinum Madhuram' is produced by A.V Govindankutty under the banner of Baba Creations. '101 Chodyangal' has Indrajith doing the role of teacher. The movie has been in news even before its release related to its achievements in the 60th National Film Awards. It received two awards- Best film of a debut director and best child artist. '101 Chodyangal' is about a child who is given up an assignment by the teacher. The assignment is to make 101 questions. His efforts to frame these 101 questions is the subject of '101 Chodyangal'. The movie is directed and penned by newcomer Sidharth Siva. Now that the post-production works of the movie are over, it will be released soon. Lena, Rachana Narayanankutty, Nishanth Sagar and child artist Minon are in other lead roles. Ranjan Pramod 'Eeppachan Pappayi', Shambu Lekshmi Purushothaman's 'Vedi Vazhipadu' and Lijo Jose Pallisserry's 'Disco'. 'Vedi Vazhipadu'is an in an out comedy entertainer. Lijo and Indrajith have worked together for 'Amen', which was the greatest hit of the year. 'Disco' is a whacky film revolving around the life of three guys living at Goa. Fahad Fazil may also feature in other lead role in the movie. It has been rumored that Indrajith will don an important role in Hariharan-M.T Vasudevan Nair team's dream project 'Randamoozham'. The movie will have other prominent actors from Malayalam. Mammootty dons the role of Dhuryodhanan, the villain in 'Randamoozham', against Mohanlal's character Bheeman. Indrajith is going through the best timeline in his career. The talented actor is on his way to make his own space in Malayalam film world. He already have made 2013 a grand year with latest flicks like 'Amen' and 'Left Right Left' receiving positive acclamation all over Kerala. The upcoming Malayalam movies are in fact has more to deliver. His close association with Hariharan, Sunil Ibrahim and Lijo and other prominent directors will surely gift few more hits in 2013.